Completing your SACE is a big important thing. South Australian Certificate of Education. Every word has a capital letter. That’s how important it is. Except it isn’t as important as your mental health and wellbeing. A lot of people realise this too late, some not at all. One of the great balancing acts in my life as a teacher is to value study and hard work and doing the things that nourish and support them. In other words, they shouldn’t pour so much energy into study that they neglect their health and wellbeing. Human bodies and minds are complex, and while the bodies of teenagers are powerful and adaptable, they’re not invincible. There’s a whole bunch of stuff they need to function at their best. REST – Everybody needs rest, just like we need food, air and water. Sleep hygiene is important for both personal wellbeing and effective study. Try to go to bed and get up at around the same time each day, and avoid napping during the day. Try to avoid screens for an hour or so before going to bed; the blue light from them tricks your brain into thinking it is still day time. Avoid caffeine and alcohol from late afternoon; they can disrupt the body’s natural winding-down for sleep. While you might feel you can stave of sleep just a bit longer to finish the last chapter of revision, ask yourself if it’s worth it. If you’re too tired to take it in, you’re better off using that time to recharge your brain with a good night of sleep. TAKE CARE – just like the fuels our bodies need to run (sleep, food, water, air), there’s also stuff we need to do to nourish our spirits. In my experience, these are too often the first things to be sacrificed in the search for completing SACE successfully, and especially at exam time. Make time for leisure, and spending time with loved ones, and doing activities you enjoy, even during exam time. This is vital for managing stress, both with study, exams, and life in general; we know that if stress rises into a critical zone, there is a serious drop off in your ability to perform at your best. I’ve always recommended taking at least one day out of seven at a minimum for yourself and the things you enjoy; no work and no study for at least one solid 24-hour block every week! THERE ARE OTHER PATHS – There is so much pressure on you to achieve highly at this time in your life and successfully complete year 12. This pressure can come from your family, your school or from yourself. Sometimes it is hard to hear that you may not be doing as well as you’d like. While you might be told that it is ideal for you to complete your SACE over two years that is not true for everyone. Everybody is different, and has different needs, desires and pressures informing their decisions. If you don’t succeed this time, you can do parts of it or even the whole of it over again. You may decide that the time isn’t right, or that it is not for you at all, and you’d rather study elsewhere like TAFE, or just start working. These are all good and valid choices, and you can always change your mind later. Your continuing mental health and wellbeing is ultimately far more valuable to you and your loved ones. BE KIND – Remember that you are not defined by your ATAR score. Year 12 is not the most important thing you will ever do. Exams are only a measure of your ability during a few hours of a single day; they do not control your future success and happiness. You deserve the care and support of the people around you if you’re having a hard time, and if you have some love to spare for others who might be struggling, give what you can. Please remember that there are many paths you can take, and this is only one step on them. There are many ways for you to reach for your goals. 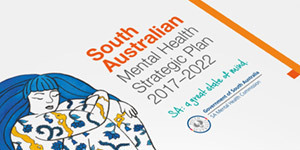 Wayne Bickley is the Co-ordinator, Children and Young People for the SA Mental Health Commission (SAMHC). 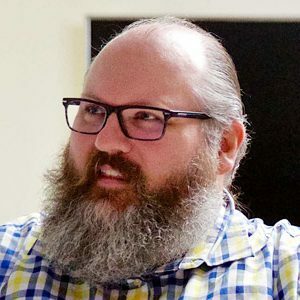 He is an educator, gamer and craftsperson who brings his skills and sense of joy and play together to support and enhance the wellbeing of his communities. Wayne has worked in the northern region of Adelaide for over a decade supporting marginalised and disadvantaged young people with educational and other innovative and inclusive enrichment programs. He also has close links with craft-based community groups such as the Artist Blacksmiths Association of SA, supporting the positive role that craft plays in enhancing wellbeing.